The AEFI Management Committee is made up of a variety of industry representatives including conservation biologists, tourist operators, research scientists, accountants, public servants, Indigenous teachers, farmers and business executives. This combination allows AEFI to manage its reserves and wildlife with a broad range of experiences, skills and knowledge on hand. We manage or assist in the management of important habitats to ensure that the wildlife within is protected. We are involved in the management of over 3000 hectares of land as well as conducting research and captive breeding to improve the future for Australian endangered wildlife. We currently reach thousands of Australians and internationals who want to help save Australian wildlife, and our reach is rapidly building. With your help, we will continue grow and protect endangered ecosystems and wildlife across Australia. We work with a range of partners to educate, inform and conserve. This includes government agencies, universities, and volunteer and community groups. By working together with other organisations we can share expertise and resources to increase the effectiveness of our conservation work, and it’s sustainability. The Zoo and Aquarium Association is the peak body representing the zoo and aquarium community throughout Australasia. The Association has 99 member organisations; 94 of these are zoos, aquariums and museums with the remainder consisting of universities, TAFEs and government departments. Our members engage over 17 million visitors and provide education to over 600,000 students each year. They run a plethora of conservation projects at home and overseas. In addition they provide an essential service through their wildlife hospitals. Most importantly they look after their animal collections which include over 1,200 vertebrate species. The Association aims to enhance these activities by enabling and facilitating collaboration across the membership. After 125 years of exploration, National Geographic Channel continues to bring back stories about the most thrilling events happening all over the world. And we haven’t finished yet, with our unparalleled reputation for visually exciting and compelling storytelling, National Geographic Channel is the undisputed home of smart, relevant and inspiring factual entertainment about life, the universe and everything in between. Backed by National Geographic’s unparalleled reputation for high quality blue-chip programming, Nat Geo WILD is dedicated to providing a unique insight into the natural world, the environment and the amazing creatures and cheetah population that inhabit it. From the most remote environments, to the forbidding depths of our oceans, to the protected parks on our doorsteps, Nat Geo WILD uses spectacular cinematography and compelling storytelling to take viewers on unforgettable journeys into the wild world. 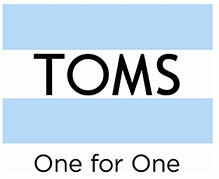 TOMS is in business to help improve lives. We identify a global need and create products to help address them. This simple idea is what makes us more than a company – we’re a movement that’s continually evolving.